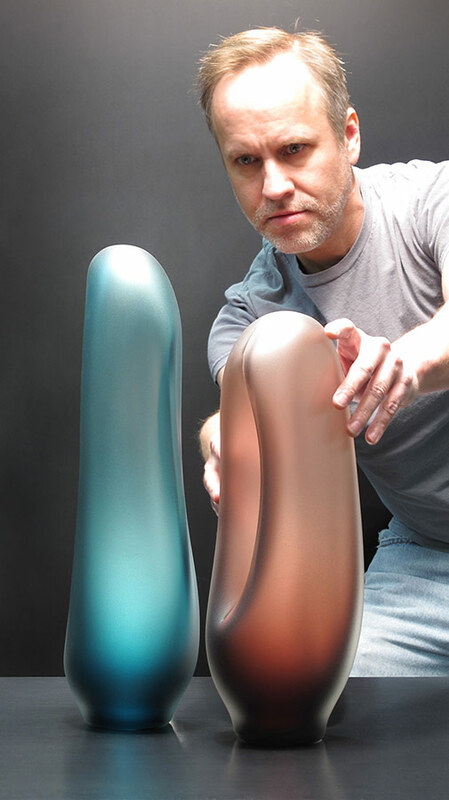 The Papago art glass sculpture combines two figurative hand blown glass forms. 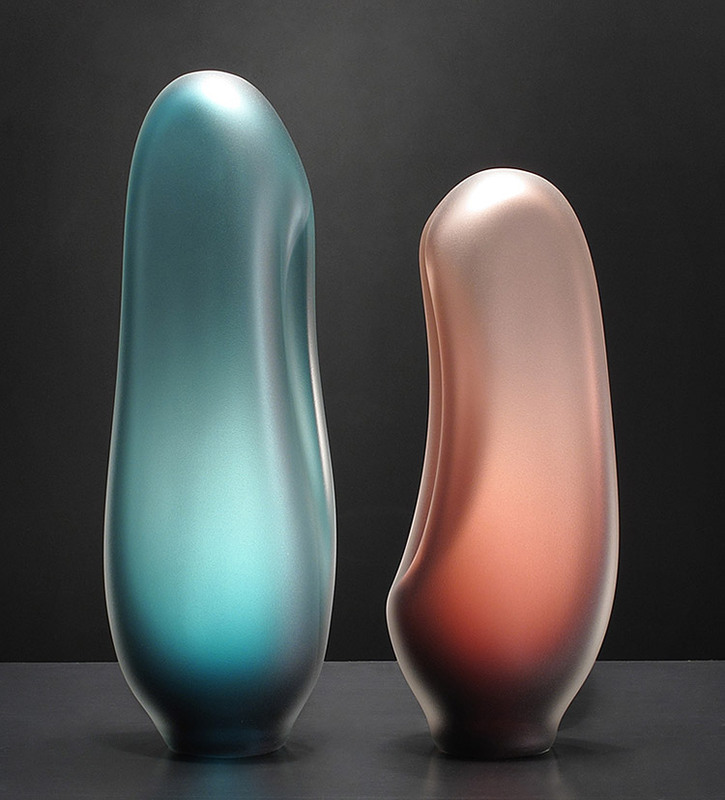 The tea colored glass form suggest an impression left by the blue colored form. 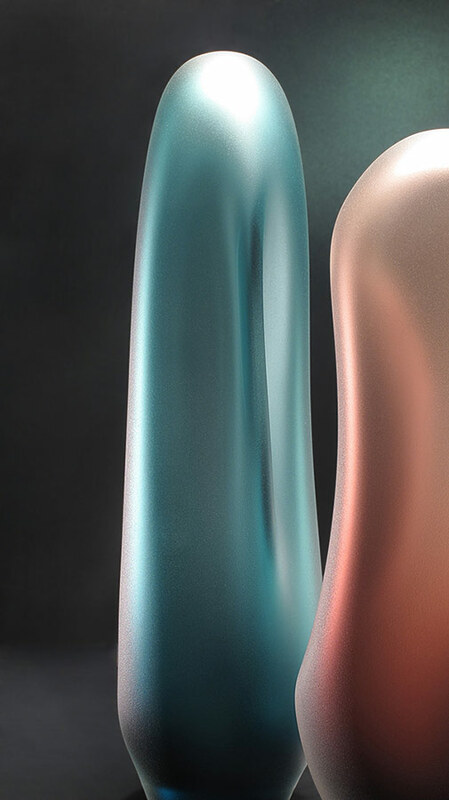 The soft surface profiles found within this glass sculpture create a gentle “connection” between the glass forms. 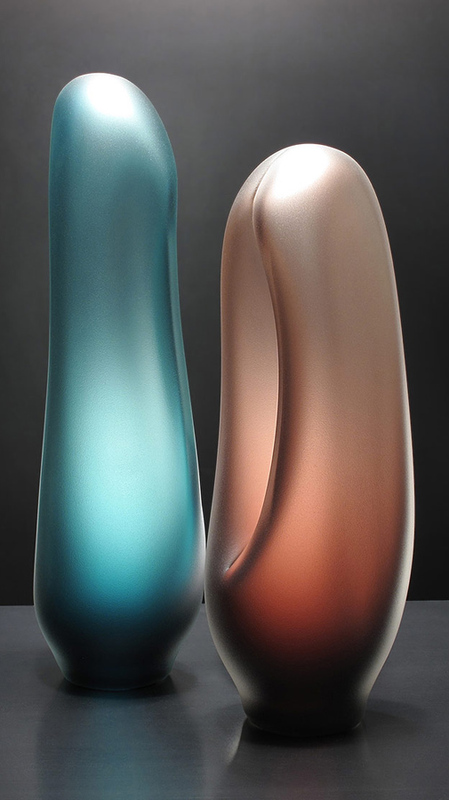 The surface of the blown glass pieces have been ‘sandblasted’ or ‘frosted’. This creates a translucent quality that accentuates the forms. *Please contact us for more information and availability for this one-of-a-kind sculpture. 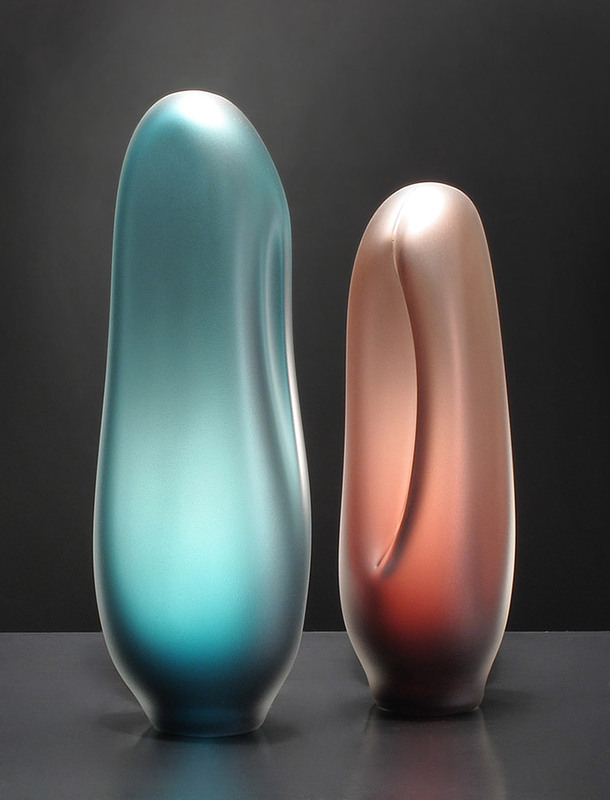 This artwork is part of our Melange Series of glass sculptures.